It’s that time of year, BOO! Halloween has snuck up on you! 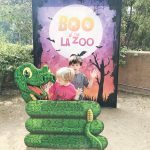 We were invited to visit Boo at the LA Zoo this past weekend and it is hands down the best fall activity in town! 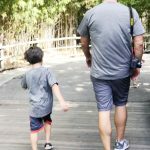 It is decorated top to bottom with plenty of places to get some good pics for the gram’ – don’t worry – but instead of just getting pics for the gram’ you’ll spend the whole day at the zoo learning too! 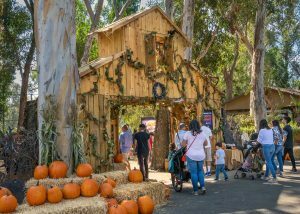 They have an entire schedule of special Halloween events included in the admission price! You can watch a puppet show, pumpkin carvings, animal feedings, science shows, a special Halloween bird show and even get up close with creepy crawlies…plus all their regulars like elephants, flamingos, sloths, a tiger, birds, even play in a cave…and its all probably going to cost you less than those $5 a bounce pumpkin patches down the Street…how much energy do your kids have? If they are like mine then Boo at the Zoo might just be right for you. 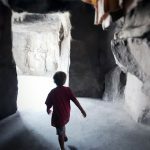 There is so much to do where to even start! First stop on our list was the Spooky Stroll – which in fact is all fun not spook! Lots of fun games and sights and plenty of photo opps for parents! 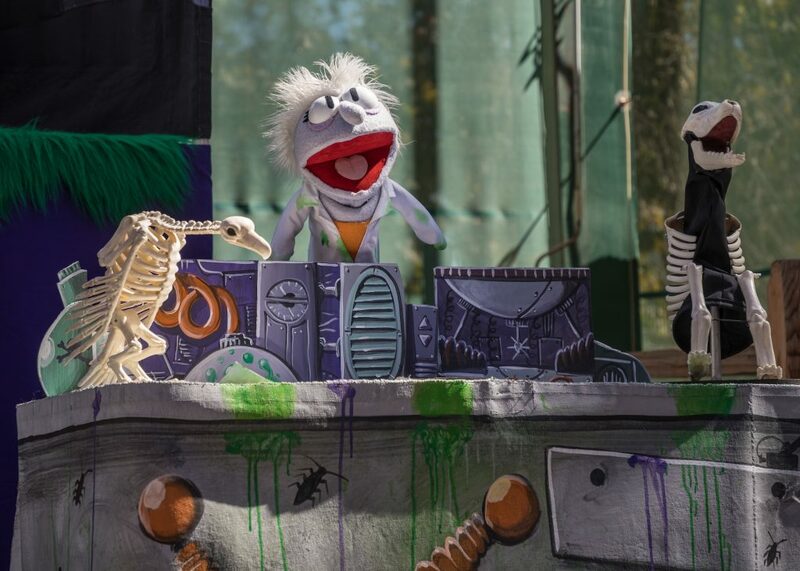 Among the merry-not-so-scary activities we participated in was an adorable interactive puppet show “Swazzles’s Monster Menagerie” which our boys LOVED! The kids learned about all kinds of different creatures and together the audience “built” their own puppet which was a hit with the kids. I highly recommend the puppet show! The zoo is also featuring animal feedings…both pumpkin feedings, and for those more daring they are offing carnivore feedings! Parent discretion advised! 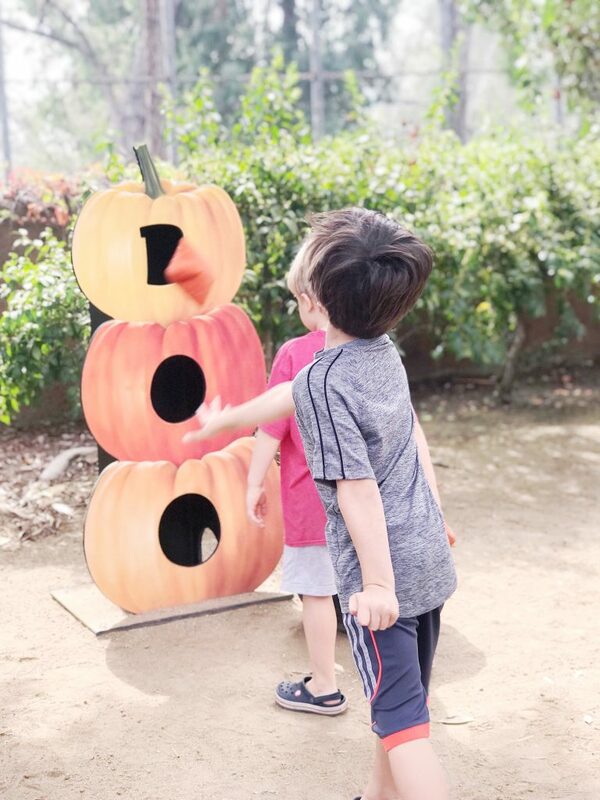 Spooky Stroll – Enter, if you dare, and discover Halloween games, a mini pumpkin patch, frightfully Boo-tiful photo ops, and more in Eucalyptus Grove from 10 a.m. to 4 p.m. 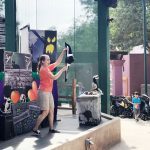 Animals & You Boo – Get up close to creepy critters – so close, in fact, you may even get to touch them – in front of the Winnick Family Children’s Zoo at 10: 45 and 11:45 a.m., with an extra performance at 12:45 p.m. on weekend days. Schedule subject to change due to weather. The L.A.I.R. 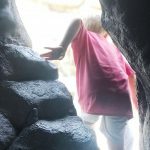 – Come face-to-face with rare snakes, poisonous frogs, and venomous lizards. No decorations required for this goose bump-inducing excursion! Open 10 a.m. to 4:30 p.m.
Boo Bird Show – Witness fascinating behaviors of some of nature’s most mysterious and misunderstood flying fauna – owls and vultures – at a special Halloween edition of our popular World of Birds Show at 12 p.m. and 2:30 p.m. every day but Tuesday. Schedule subject to change due to weather. All of this plus this on weekends! Swazzle’s Monster Menagerie Puppet Show – Help a lonely mad scientist create the ultimate trick-or-treating buddy by combining animal “superpowers.” Performances in Adventure Theater at 11:30 a.m. and 1:30 p.m.
“Spooktacular Science” Show – Discover bubbling potions, a hovercraft-powered ghost, and more fun surprises in a mad scientist’s bustling lab. 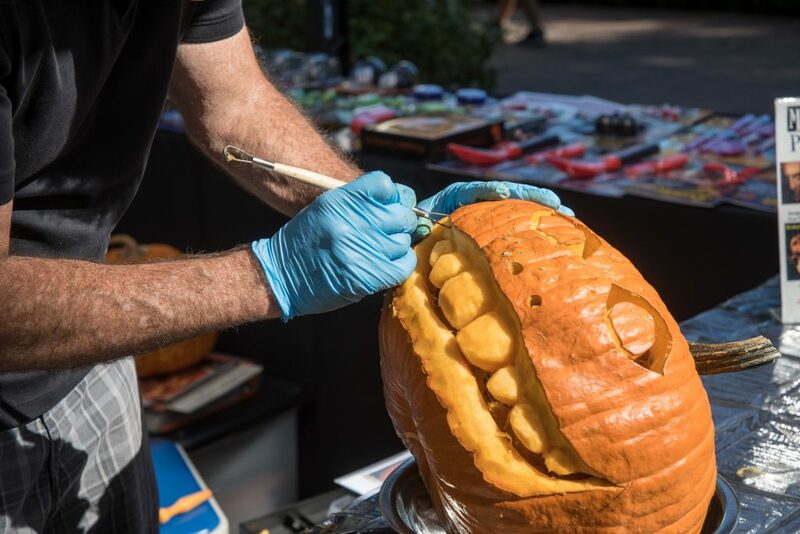 Performances in Adventure Theater at 3 p.m.
Masterpiece Pumpkins with Gene Granata – Marvel at expert carving demonstrations in Eucalyptus Grove from 10 a.m. to 4 p.m.
Crocodilian Craft – Create a cute clothespin alligator to wear in honor of October’s Reptile Awareness Day. 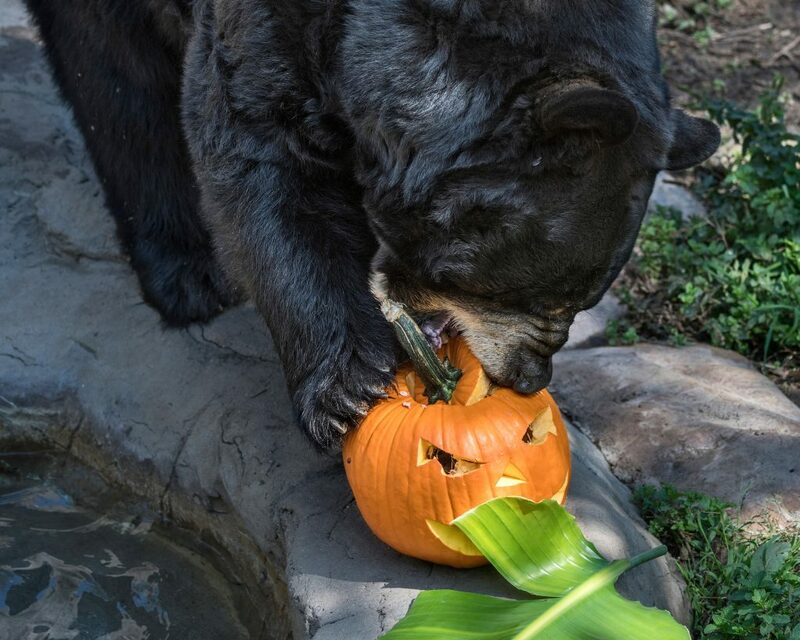 Trick-or-treating – Find treat stations throughout the Zoo, with treats and bags courtesy of 99 Cents Only Stores! Available while supplies last. 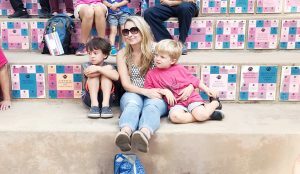 Our family had a great time at the LA Zoo! 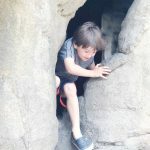 The LA Zoo hosted our family, but all opinions are my own. Let me know what your favorite things were if you go! Check the Zoo website for more info and updated schedules!